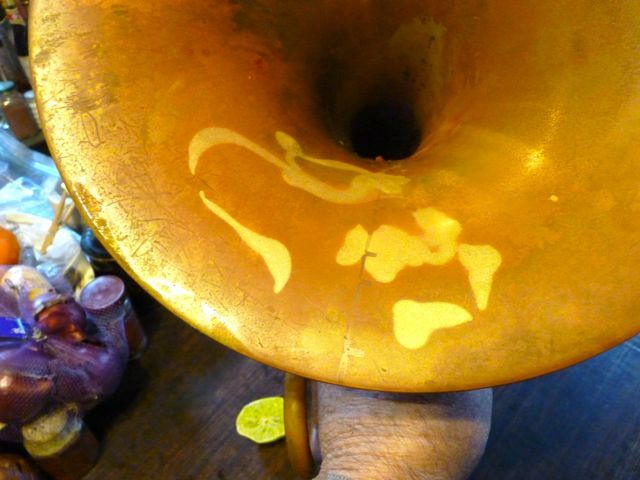 So, How do I get oxide off my horn? 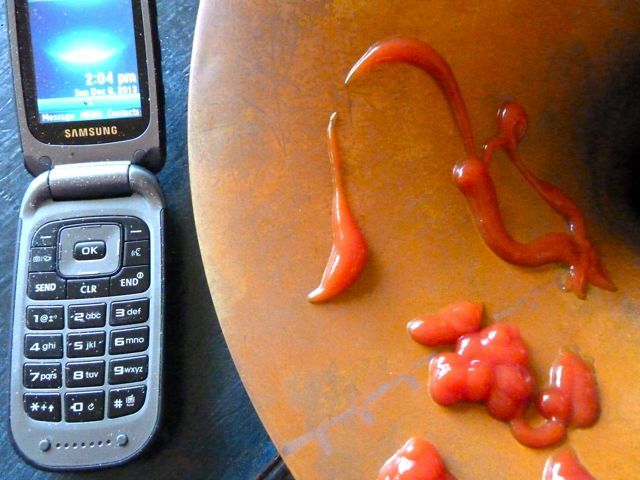 Double cheeze burger anyone??? 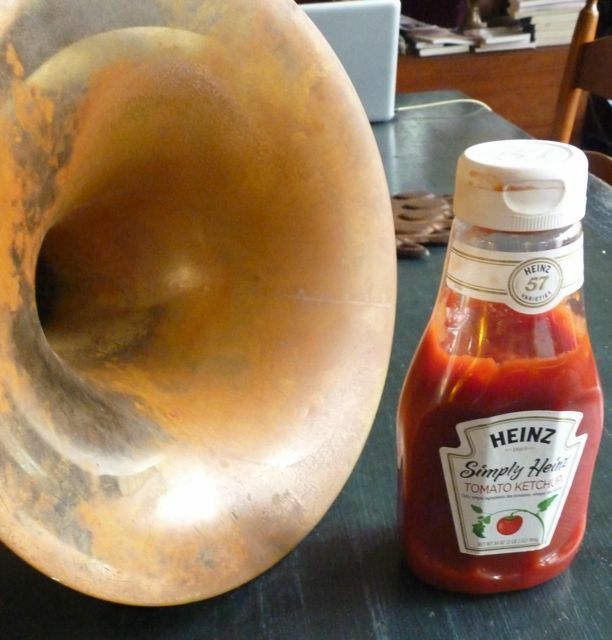 Many of you probably know this, but for those looking for tasty oxide removal… So the old Hoyer needs a cleaning… so some Heinz ketchup dribbled here and there… A little time, 30 minutes or so… times up, what happens???? 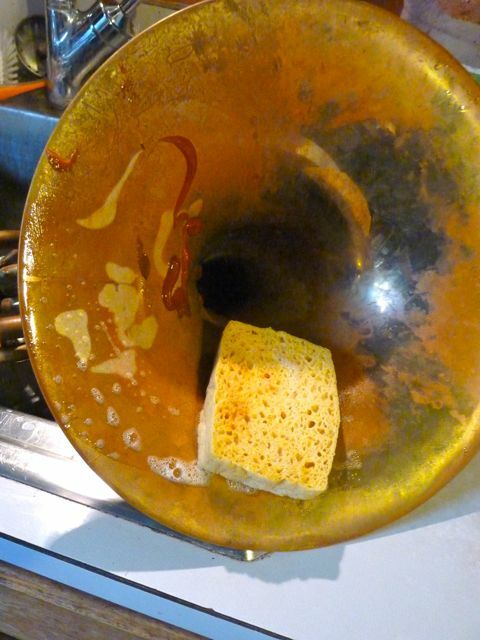 Hmm a little slip of goo… a little soap and water…. 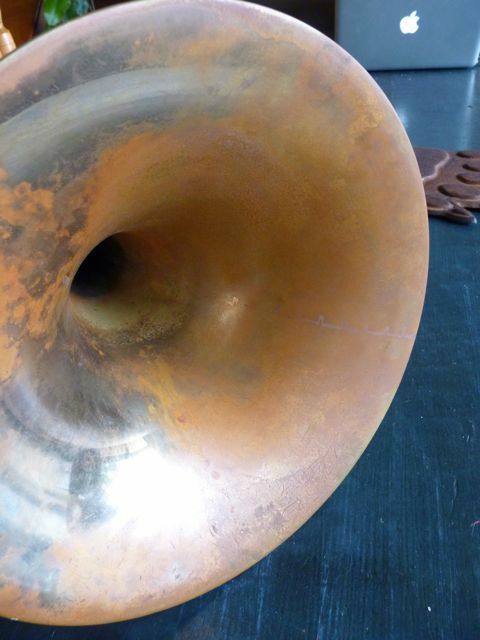 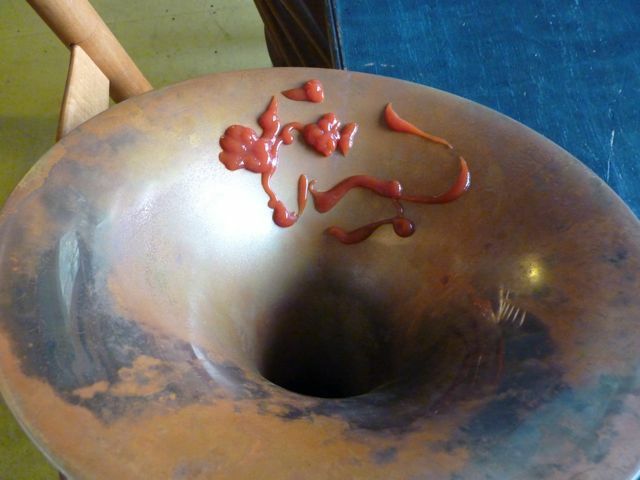 Hmmm…I guess if you slathered the horn in ketchup you could clean the whole thing, or your copper cooking pots…. 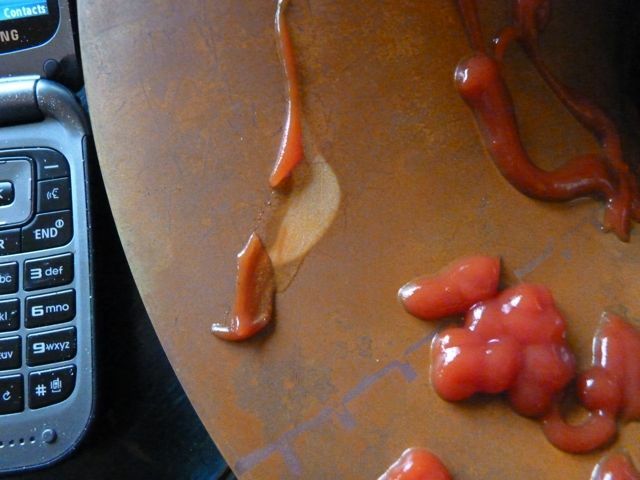 Lemons, limes also work. 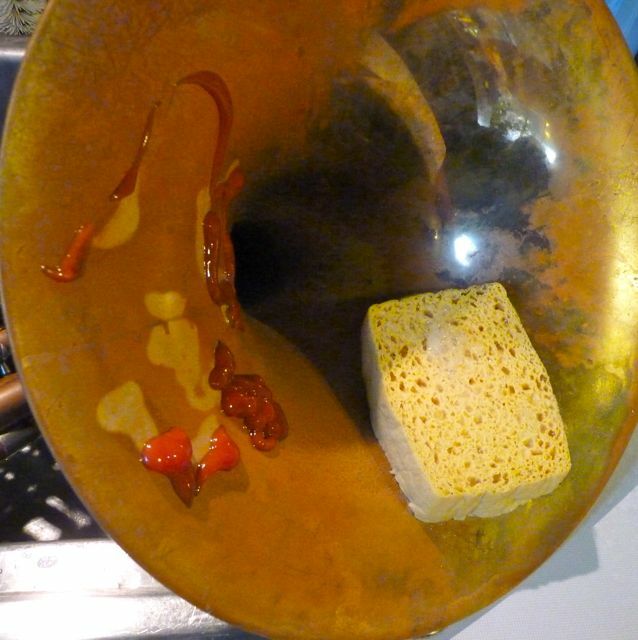 Safe and tasty….It doesn’t polish, just removes the oxide….